Many organic farmers struggle to find natural ways of enhancing their soil. While organic fertilizers are readily available, it makes more sense to produce them as only then can one be sure of the components used. When produced appropriately, homemade organic fertilizers can be as good as their commercially made counterparts. There are different types of organic soil modifications available. For instance, compost tea is a powerful fertilizer while coffee grounds are said to provide sufficient nitrogen to plants. A huge percentage of organic fertilizers are made from kitchen garbage. However, there are many more things one can convert into potent fertilizer for use in their organic garden rather than disposing them off. Organic farmers can make their own organic liquid fertilizer by infusing their components of choice in water for some days. The soluble nutrients then drain in the water solution. 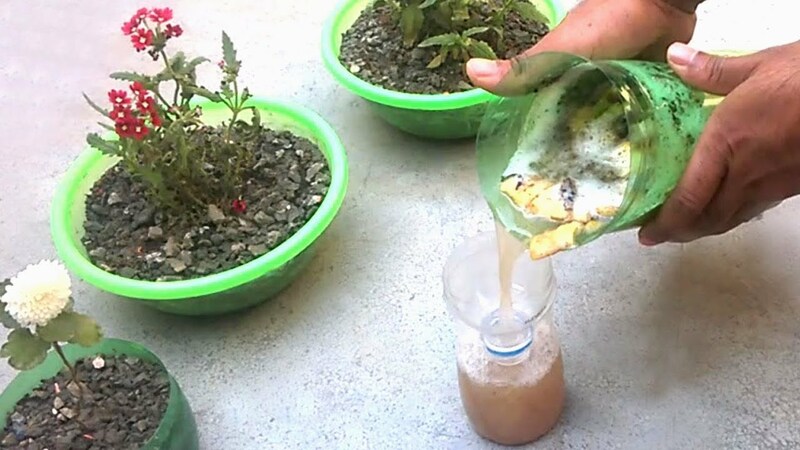 Farmers can choose to terminate the process and utilize the fertilizer in their gardens or even continue if they intend to ferment the component. Some farmers have reported great success from fermented organic liquid fertilizer. Below are examples of organic liquid fertilizers you can make at home. Banana peels come with loads of potassium. Fertilizers that are rich in potassium are good for flowers and fruit plants. This, however, may not be appropriate for foliage plants such as spinach and lettuce. Use banana peel organic liquid fertilizer on squash plants and tomatoes. In a mason jar, put the banana peels, fill it with water, and cork it. Allow it to sit for three days and use it on your garden. Eggshells are rich in calcium and contain a small percentage of potassium. Crush them, put in a mason jar, and fill it with water. Let it sit for a week and use the water on your plants. It is ideal for tomatoes and houseplants. Calcium helps prevent blossom-end rot. After boiling vegetables, do not dispose it off. Let it cool then dilute it with water. Use it on houseplants and at the organic garden. To avoid the bad smell, use it all at once. This water is rich in vitamins that the vegetables lose during the cooking process. Epsom salts contain sulfur and magnesium. In a gallon of water, add a tablespoon of Epsom salts. Put the mixture in a sprayer and use it on peppers, tomatoes, roses, and onions. Spray them two times a month. In a bucket, begin by placing compost, followed by water and a lid. Ensure the bucket is not tightly locked. Let it sit for one to two days and pour the water in a different bucket. Dilute it in a ratio of one to ten and use the mixture in the organic garden. Unseeded weeds can be used to make fertilizer. Add grass clippings to make it richer. Grass and weeds contain nitrogen and the water accelerates its breakdown to make the nutrients available. Place grass and weed clippings in a 5-gallon container and add water. Ensure the water goes slightly above the components, cover and let it sit for three days. Drain the liquid and dilute with water in a ratio of one to ten. Use it to water plants in the organic garden. Put the remaining components in the compost. Collect chicken, rabbit, or goat droppings, put them in a bucket and add water until it’s slightly above the droppings. Let it sit for two to three days and drain the water. Dilute it with a one to twenty water ratio and use it to water plants in the organic garden. Droppings tea is rich in nitrogen. Ensure that the plants are sufficiently watered before using an organic liquid fertilizer on them. This prevents them from absorbing excess salts. If the plants appear withered for lack of enough water, it is advisable to water them sufficiently first and wait for twenty-four hours before applying the fertilizer.